China and the EU established diplomatic relations in 1975 and although their historical contexts were very different, both sides started to gradually increase collaboration to further their interests. Following the end of the Cold War, their relationship continued to flourish. Despite disagreements on issues such as the arms embargo, Beijing and Brussels found several areas where they could cooperate on. China's opening-up and reform process had perhaps contributed the most to this process and benefited both sides. 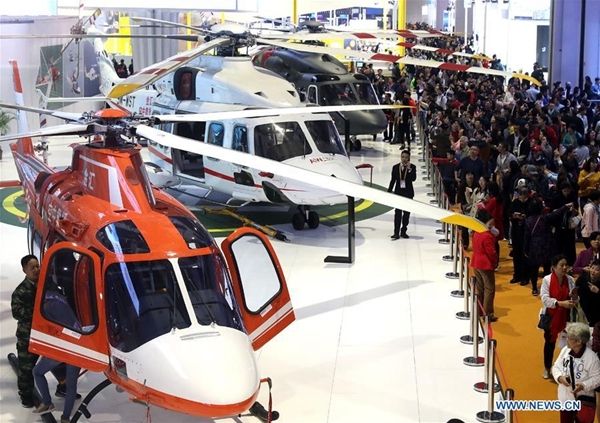 On the one hand, China was keen to build a stronger reciprocal relationship with the Western world, and European companies too began to discover unprecedented opportunities in the Chinese market. In recent years, however, the initial enthusiasm of the EU has been dampened by many opponents. Supranational European bodies such as the European Commission and the European External Action Service (EEAS) believe member-states should be more careful when cooperating with China. This approach isn't necessarily supported by all its member-states. The Italian government, for example, had made preparations to sign an agreement on the joint construction of the Belt and Road Initiative with China. Several other European countries – such as the ones participating in the 16+1 format – also see China as a crucial partner and are skeptical on the growing Western perception of China as a threat. The general view of the European Commission and the EEAS is that a coherent European policy vis-à-vis Beijing will help the EU better deal with these challenges. This position is gaining ground among European policy-makers in Brussels, but also affects the work of research organizations, think tanks and journalists operating from within the EU's capital. A growing anti-China sentiment is being fostered and member-states are expected to follow suit, even if it goes against their own political assessment. While the Belt and Road Initiative had initially been considered an opportunity for the EU to foster growth – especially in debt-ridden countries – it is now associated with Beijing's alleged hegemonic aspirations. Chinese policy-makers downplay this argument, but both the European Commission and the EEAS are not convinced. Recently, the former proposed 10 action points to be part of the agenda of ongoing Sino-European consultations. However, the joint communique brings nothing new to the debate because the recently-launched EU-Asia Connectivity Strategy had already encapsulated the thinking of the European Commission and the EEAS vis-à-vis China. Against this backdrop the Chinese government commented that the two sides should maintain constructive dialogue in the areas described in the 10 action points. What can be expected in the next few months is that the EU might reconsider some of the terms and conditions in the existing legal framework and proceed to make some modifications. The aim will be to give the opportunity to European companies to better compete with Chinese state owned enterprises. The recent EU decision to block the rail merger of Alstom-Siemens was not welcomed in Germany and France but a new European legislation will possibly be drafted soon to allow mergers like these in the medium-term. More importantly, the pressure on EU member-states to link Chinese investments with security implications will grow. This does not mean member-states will be forced to reject offers by Chinese companies, as the nature of the new European screening mechanism still remains consultative. It remains, however, that their actions will be keenly scrutinized by the European Commission. In addition, the EU is regularly asking for reciprocity in its economic relations with China, which seems to suggest that knowledge of Chinese affairs in Europe remains limited. It is questionable whether the new foreign investment law has, in fact, been carefully studied by European policy-makers. Of course, the content of the new law cannot fully satisfy European demands and in the same way, expected changes in EU legislation cannot be fully in line with Chinese economic interests. China is now being demonized by some European policy-makers who are keen on transferring the responsibility of the EU's current economic and political problems to external factors. Important questions concerning the source of future investments, should Chinese companies continue to be suspiciously treated, remain unanswered. The Chinese government is carefully monitoring the situation by continuously viewing the relationship with the EU from a strategic and long-term perspective. It will continue its dialogue with Brussels – because the ongoing engagement with Europe is in its interests – and explore some possible solutions. Given this, it is doubtful that these differences will seriously jeopardize the vitality of the Sino-European partnership, which now goes beyond investments and trade and touches on global prosperity, development and security as well as climate change.